The Singapore Organisation of Seamen (SOS) was registered on 30 October 1971 to represent seamen. The principal objective of SOS is to regulate relations between members and their employers. To promote employment opportunities as well as good industrial relations. To assist and encourage local seamen to retrain and upgrade themselves for a competitive employment market. To help and ensure all seamen, including foreign seamen, receive their just reward for their hard work. Before 1963 Singapore seamen had too many trade unions, but during 1963-70 they had no trade union. Only the Seamen’s Registry Board provided some protection against dubious shipping management practices all these years. The National Trades Union Congress (NTUC) set up the Singapore Organisation of Seamen (SOS) on 30 October 1971. 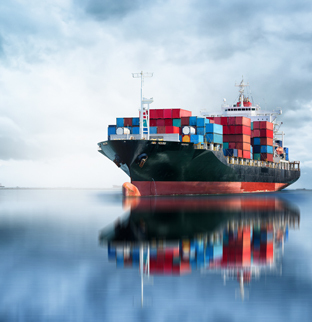 Singapore shipping companies had a bad impression of previous seamen’s unions but the NTUC helped to ensure all shipping companies affiliated to the Singapore Maritime Employers’ Federation and the Singapore Shipping Association supported the fledgling SOS. Early on, the SOS had to meet the challenge posed by the International Transport Workers’ Federation’s world-wide campaigns ostensibly against the exploitation of seamen. To defuse the challenge, the SOS sought to remedy the years of neglect when the wages and working conditions of Singapore seamen stagnated. The SOS pushed for a Board of Inquiry to be convened under the Industrial Relations Act in 1973. A key recommendation of the Board of Inquiry raised the wages of the seamen and awarded back-wages totalling more than $1 million. However, the SOS had still to settle the ITF’s challenge for the sake of the Singapore seamen. Through affiliation to the ITF, the SOS ensured world-wide validity for its collective agreements with the shipping companies. During 1979-1982, about 5,000 Singapore seamen worked on board ships covered by the SOS’s collective agreements. By 1982, SOS had a record high of 7,500 members. Earlier in 1978, the SOS had shifted from its one-room office in the Trade Union House in Shenton Way to a suite of offices in the nearby NTUC Trade Union Annex. But the SOS’s niggling worry was that the Singapore flag’s prevailing status then as a flag of convenience (FOC) might adversely affect both Singapore seamen and ships. The NTUC, the Singapore Maritime Officers’ Union (also ITF affiliate) and the SOS hosted two conferences of Asian seafarers’ unions in Singapore in 1979 to unite and strengthen the Asian seafarers’ voice in ITF forums. Subsequently, a Singapore ITF Affiliates’ representative (Mr Lim Boon Heng) was elected to the ITF Executive Board for the 1983-5 term. During 1983-87, cyclical recession in the shipping industry resulted in many Singapore seamen losing their jobs. This in turn led to a fall in the SOS’s membership. Meanwhile the SOS shifted to its newly acquired premises in Midlink Plaza in Middle Road in 1985. Faced with Singapore seamen’s dismal future employment prospects, the SOS implemented several measures during 1985-1989 to enhance the employability of Singapore seamen. They included a job enlargement scheme, a wage freeze, a manning reduction and a mixed Singaporean-foreign crew manning policy. On 1 January 1989, the ITF delisted the Singapore as a FOC. Later that year, the SOS amended its constitution to enable foreign seamen to become participating members. However, while the membership figures of the SOS seemed healthy, Singapore seamen continued to be displaced from sea jobs. The SOS consequently introduced a training grant scheme with an annual budget of $250,000 to retrain jobless seamen for shore jobs. Cost wise, foreign seamen have been too competitive for sea jobs. Proactively to help its members, the SOS, with the NTUC, founded the Seacare Co-operative Ltd in May 1994 with the mission “…to help and benefit Singapore seamen and their families through more work opportunities and appropriate investment projects”. Seacare soon proved its worth by helping seamen as workers and as consumers. The success of Seacare led to the purchase of the 9-storey Seacare Building in Chin Swee Road in 2000 to serve as, among other things, the SOS’s headquarters. By 2005, Seacare has blossomed into the Seacare Group with two holding companies, Seacare Holdings and Seacare Foundation, and twelve subsidiary/associate companies. During 2001-5, the Group posted a yearly turnover of more than $23 million and yearly profit-before-tax of $1 million, with a yearly staff strength of 1,000-plus. Presently, the SOS serves some 30,000 members, many of whom foreign seamen, while Seacare caters to, among others, ex-Singapore seamen as members, workers or consumers. The new SOS logo was launched on 5 October 2001 at the Union’s 30th Anniversary celebration, marking a milestone in the history of the Union. The logo is dominated by a capital ‘S’ written like stylistic sea waves. Bold and predictable strokes form the ‘S’, symbolizing the vibrant nature of SOS. The colour used is metallic blue. Apart from being reminiscent of the colour of the sea, it also exudes a cool yet classic feel to the entire logo. Placed against a white background, the metallic colour allows the capital ‘S’ and the words “Singapore Organisation of Seamen” to stand out in an obvious but harmonious way. There is a gradual transition of colour tones from white to blue. This adds body and signifies the ever changing and flexible nature of SOS in serving its members. The box containing the words “Singapore Organisation of Seamen” signifies the unity that is an integral part of SOS. It represents a bringing together of members with similar interests and giving them a common identity. As an organisation, the box symbolises stability too.